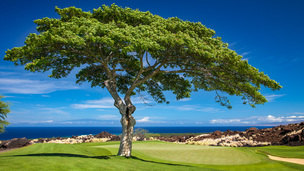 Kukio Sports Complex - Kukio Golf and Beach Club. 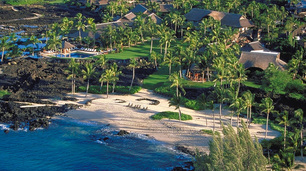 Kona, Hawaii luxury real estate development. The Sports Complex, located in the Maniniowali neighborhood, was created for families to enjoy a dedicated area for sporting activities. Designed for entertaining, a complete kitchen is available for families to utilize year round. The Sports Complex includes a pool, toddler’s pool with fountain, four Rebound Ace tennis courts, sand volleyball court, television and surround sound music, full basketball court, children’s jungle gym, ping pong table, and grass sport’s ﬁeld.